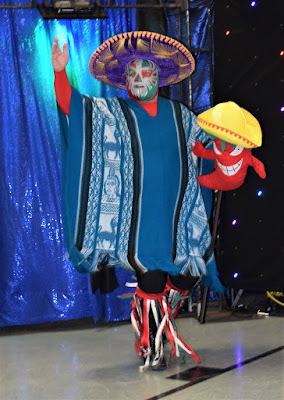 There's something infectious about Jose Magnifico and his ring entrance at Stride Pro Wrestling. When his music hits the fans immediately cheer. This Lucha star from Mexico, Missouri comes in his traditional mask, sombrero and sarape. He also has a pinata filled with candy in hand. 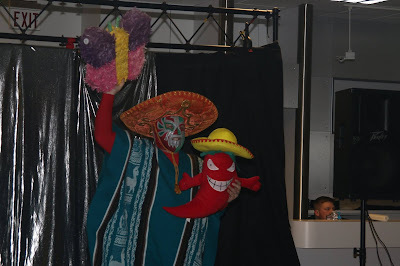 Those pinatas are the focus of today's post. You wouldn't expect the party favor to be used as a foreign object, but by definition, that's exactly what these items are. 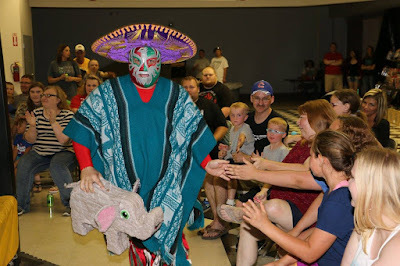 Typically speaking, the pinata stays intact and El Magnifico returns to the locker room with it. However, I've seen some wrestlers get hit over the head with the candy-filled objects. 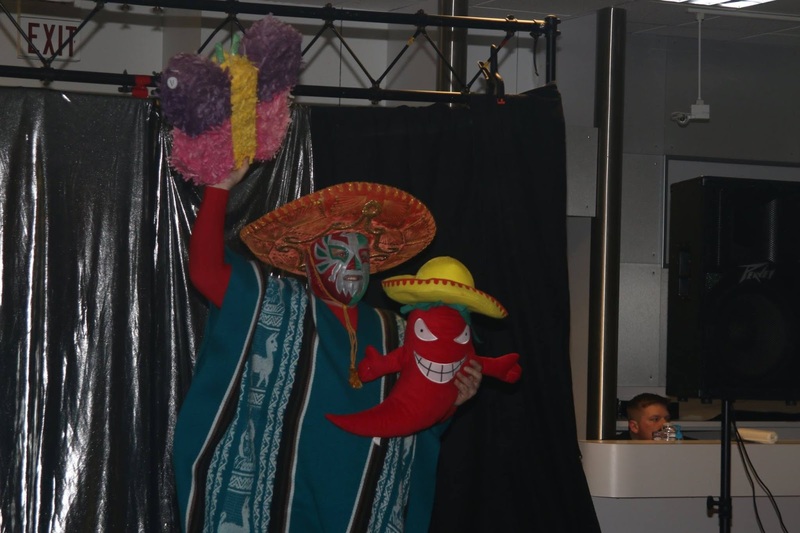 Jose himself has been victimized by his own pinata. The only benefit to someone busting one open is the candy that spills in the ring and onto the arena floor. Kids ringside scoop up handfuls of the treats to enjoy. El Magnifico returns this Saturday night. This time he'll have Chris Hargas on his side as this new tag team faces off against DR Party members Nathan Brag and Brian Richards. Perhaps the pinata can counteract the ruthless party members from using their campaign sign for Dexter Roswell. Join us Saturday at 6:30 p.m. at the Illinois Star Centre Mall in Marion.